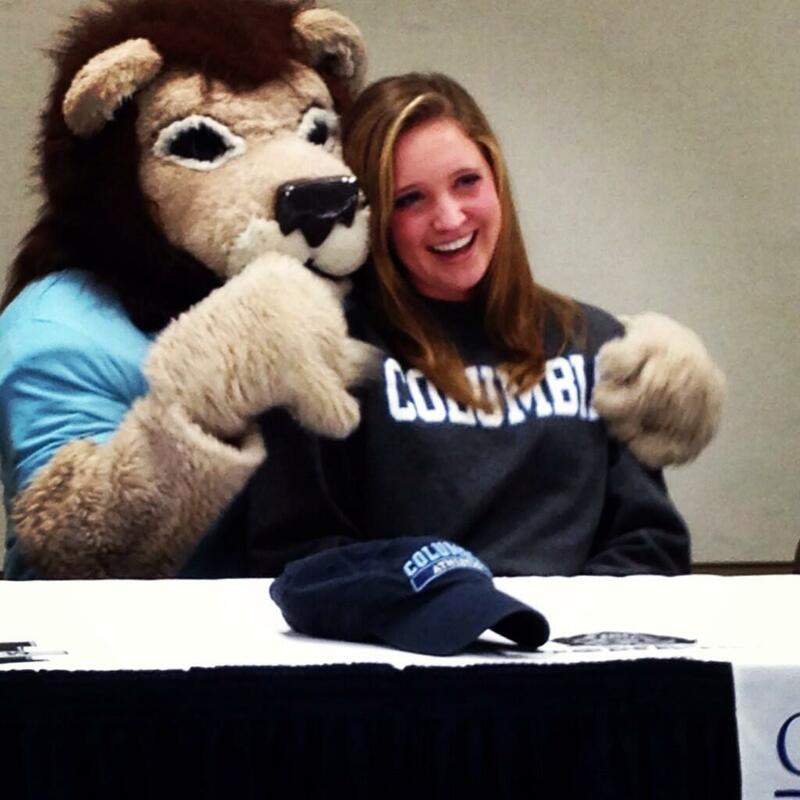 Columbia University has signed two swimmers to symbolic National Letters of Intent, Zach Thomas of Nitro Swimming and SwimMAC Carolina’s Anne Chapman Hughes. These commitments are pending the successful admission to the university (as mentioned many times, Ivy League Letters of Intent, like those to Division III or for non-scholarship athletes, have no formal significance). Thomas, pictured with family and coaches above, comes from Austin, Texas and swims the unique combo of backstroke, breaststroke and IM. His top times are in the 200 breast (2:05.36), 200 back (1:50.68) and 200 IM (1:52.53). Hughes specializes in backstroke, holding a top time of 2:07.49 in the 200 back while swimming for SwimMAC out of Charlotte, North Carolina. 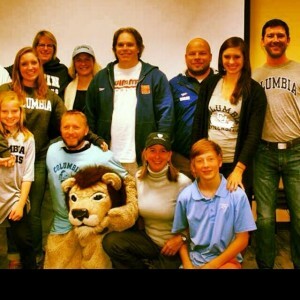 Columbia mascot Roar-ee was so excited about Hughes’ signing that the Columbia Lion made a personal appearance at her signing ceremony. Hughes, on the far left, joins her family, coaches, and new school mascot for photos afte signing her NLI. Photo courtesy of Katie Meili. Something seems amiss here; I don’t believe that recruits to Ivy League schools sign National Letters of Intent. They do not give athletic scholarships. Who actually sets up the tables, school banners etc. (respective high schools to acknowledge achievements?) Does Ivy schools acknowledges those events since its still conditional acceptance? Peter – yes. The high schools or the parents would set those up, just as with any other more official signing ceremony. Often times, even at the official ceremonies, the kids have already sent in the actual letter. Zach Thomas has a 1:50 in the 200 backstroke.